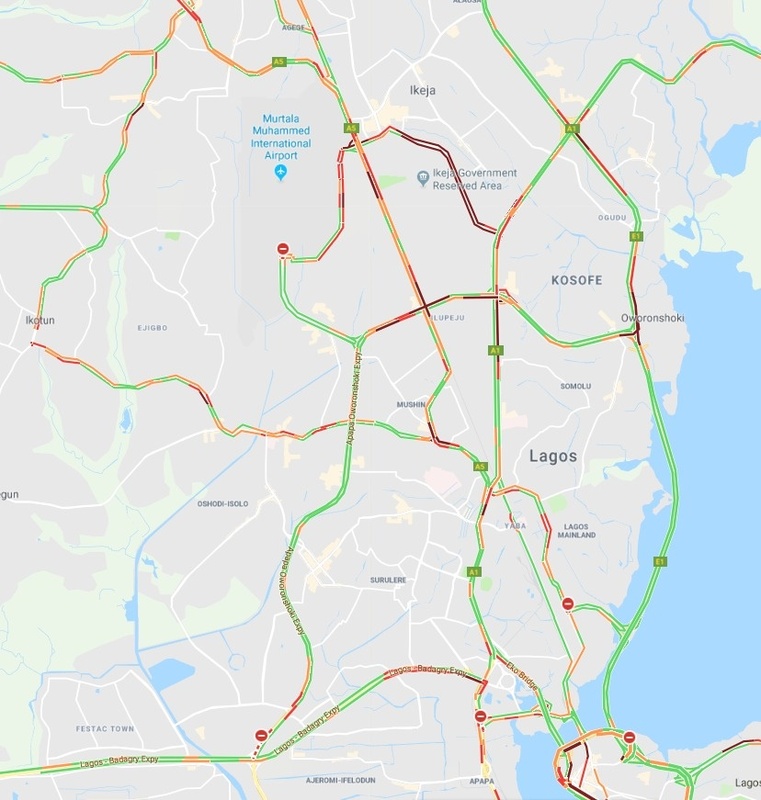 Check out the Lagos traffic report for Wednesday, November 13th. Here's the Lagos traffic report for Wednesday, November 13th. Third Mainland Bridge: There is free movement till you get to Oworoshoki after which there is slow movement. Eko Bridge & Carter Bridge: Traffic is moving slowly on both bridges. Lekki - Ajah Expressway: Movement is intermittently slow, mostly moving towards Ajah. Ikorodu Road: Major parts are moving freely except between Fadeyi & Jibowu. Apapa-Oshodi Expressway: Mostly free at the moment, except around Oshodi. Agege Motor Road: Very slow movement from Oshodi and around Mushin. Mobolaji Bank Anthony Way: Almost at a standstill on both sides of the road. Are there major areas we missed? Please tell us via our social media handles - @BounceNewsNG.